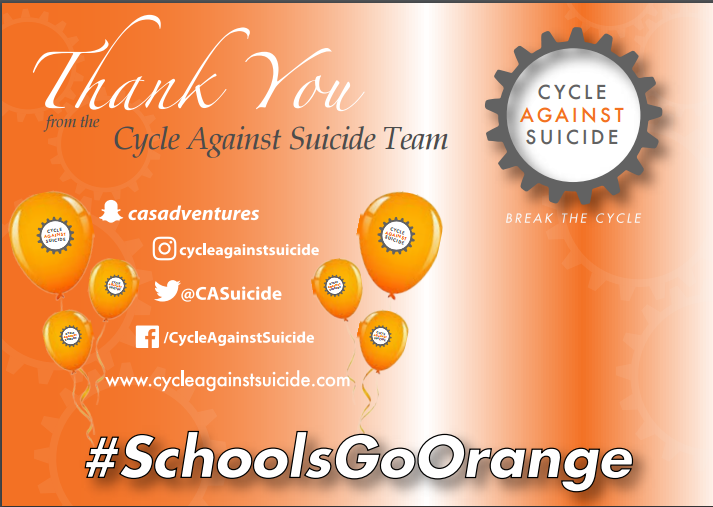 Great fun was had in Ardgillan CC on Friday the 17th of February with our surprise flash mob at lunch time for Cycle Against Suicide's #SchoolsGoOrange campaign. Thanks to all the 5th years involved and 1A and 1I for also getting involved last minute. Thanks as well to the teachers who helped out, especially Ms. Farrelly. You can the see the fun that was had by accessing the link below.